Modification of the purpose-built trailer which will transport the layout. After our layout "Moss Vale" was permanently retired from the exhibition scene, we set about modifying the Group's trailer. As "Wallerawang" is slightly larger than our previous layout, we had to increase the available interior space by raising the roof of the trailer by 150 millimetres (6 inches). 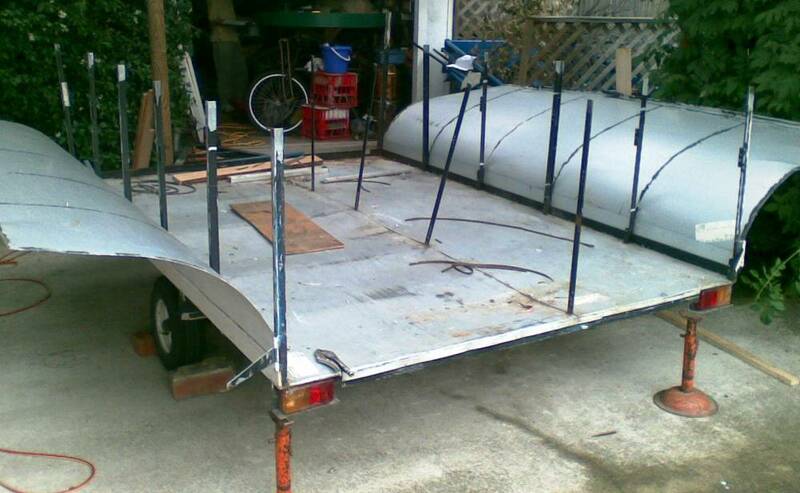 This meant removing the front and rear doors and the interior, cutting off the roof, and moving the side panels out of the way, effectively stripping the trailer down to the frame and floor. Tubular metal extensions are ready to be welded onto the vertical posts, and the roof re-instated at a higher level. The point motor driver boards for all the Tortoise motors on the front and end modules have been built and tested, and are ready to be fitted. These circuits provide control of the motor, an LED indicator on the board to display that the motor is functioning, and provision for direction indicator LEDs mounted on the control panels. 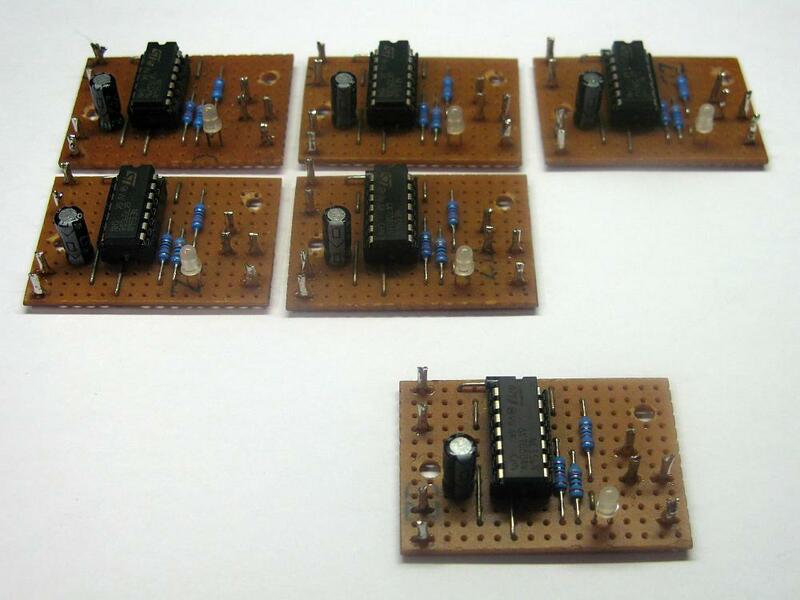 Six of the Tortoise point motor driver boards, tested and ready for installation.